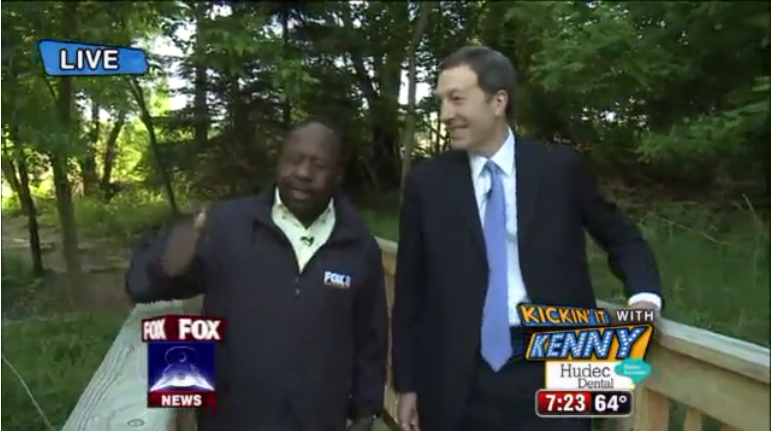 Watch the second clip on this page to see Marc Krantz introducing the new Cleveland Lakefront Nature Preserve with Kenny Crumpton on Fox 8 News in the Morning. “A former dredge disposal site in Cleveland is now home to an array of plants and animals. The Cleveland Lakefront Nature Preserve, located next to Gordon State Park, sits on what used to be Dike 14. From 1979 to 1999, sediments dredged from the Cuyahoga River and Cleveland harbor were deposited there. The Cleveland Lakefront Nature Preserve is now open to the public. “Kenny Crumpton is the feature reporter for the award-winning Fox 8 News in The Morning. Kenny Crumpton arrived at WJW in the winter of 1999 from KJEO-TV in sunny Fresno, Calif. His adventures on Fox 8 News in The Morning started on a cold day. Shortly after viewers toured his “empty” apartment, they found him swimming with dolphins in 19 degree weather!